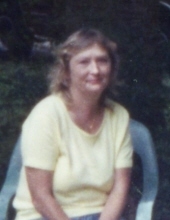 Mrs. Pamela Diane Smith Arp, age 63, of Rockmart, GA passed away Sunday, February 3, 2019. She was born in Rockmart, GA on October 21, 1955, a daughter of the late James Lasker Smith and the late Sarah Elizabeth Willis Smith. Mrs. Arp lived the greater part of her life in Rockmart and attended the Euharlee Baptist Church. She enjoyed to read; watch her soap operas; and had a great love for her family. In addition to her parents, she was preceded in death by her husband, Raymond Johnny Arp, Jr.. Survivors include her children: John Hester (Lauren), Hiram, Shane Hester, Cartersville, Mamie Brown, Rockmart, Johnnie Lynn Costley, Rockmart, Terri Chavez, Rockmart and Ramie Brown, Rockmart; grandchildren: Jonathan Reyes, Cody Hester, Josh Becerra, Hope Hester, Carson Brown, Cassie Costley and Candi Costley; great grandson, Zane Alexander; brother, Mike Smith (Shelia), Rockmart; sisters: Kathy Davison, Rockmart, Cindy Williams (Terry), Rockmart and Teresa Wilson (Kenneth), Cartersville; step-mother, Bessie Smith; step-sister, Janie Messick, Rockmart; step-brother, James Dyer (Cathy), Rockmart; very special cousin, Angie Waters, Rockmart; a number of nieces and nephews also survive. Graveside memorial services will be held Thursday, February 7, 2019 at 4:00 pm at Piney Woods Cemetery with Rev. Mitzi Oates officiating. The family will receive friends on Thursday afternoon from 1:00 pm until 3:30 pm at the Alvis Miller & Son Funeral Home. The Alvis Miller & Son Funeral Home is in charge of arrangements for Mrs. Pamela Diane Smith Arp. To send flowers or a remembrance gift to the family of Pamela Diane Smith Arp, please visit our Tribute Store. "Email Address" would like to share the life celebration of Pamela Diane Smith Arp. Click on the "link" to go to share a favorite memory or leave a condolence message for the family.